Thankful that today, in the middle of a busy day – work, meetings, school – I got to go on a little lunch date with my Zane. 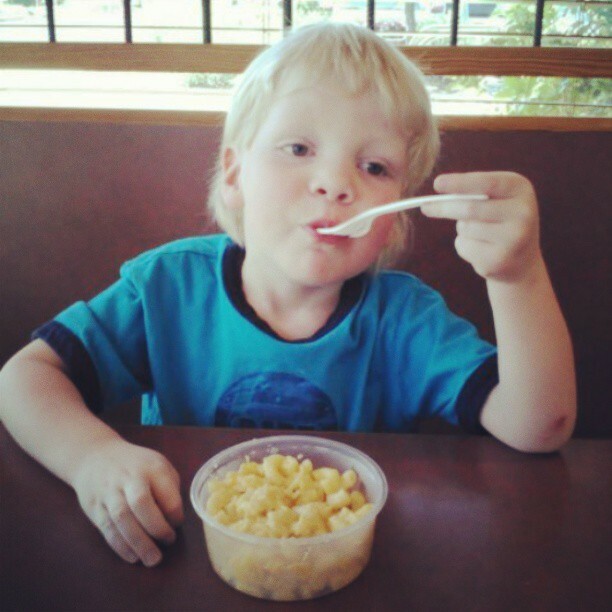 At his request, we went to his favorite lunch spot – a little supermarket that has a café – to have macaroni and cheese. Jude’s almost finished with school for the year and the Summer will look quite different than the past 9 months have looked. We are excited for the months ahead, but the special time I’ve had with Zane will be missed too. Thankfully, I have another full year before he starts kindergarten. Love my sweet, funny Zane. Categories: Family, Life & Times, Thankful Thursday | Tags: family, thankful | Permalink.